Made his debut with Basquet Mallorca, 1st Division (Spain) during the 2007-08 season. Played there also the 2008-09 championship, also playing with Basquet Mallorquin, EBA. 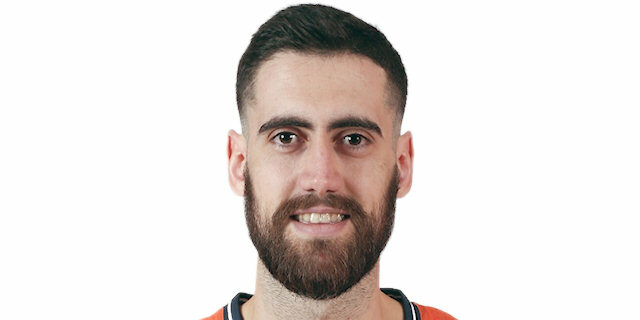 Signed for the 2009-10 season by Cajasol Seville, played also with Qalat Cajasol Seville, LEB Silver. Played with Cajasol till the 2013-14 championship. Signed for the 2014-15 season by CAI Zaragoza. Signed for the 2016-17 season by Valencia BC. Won the gold medal at the 2011 European U-20 Championship. Won the bronze medal at the 2010 European U-20 Championship. Won the bronze medal at the 2017 European Championship.